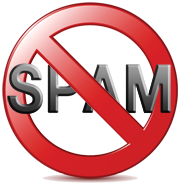 If you’re an R4L customer using one of our combined web and email hosting packages, BoxTrapper is an aggressive spam filtering service that can help defeat spammers. The sender confirms they are a human sending email and not a spam bot. This is done via an email that is sent back to the sender with a link to a page on your website to confirm. You review your list of “trapped” mail, select the email and click the option to Whitelist and Deliver. Additionally, the Whois record will contact contact information for the domain’s registrar, and the domain’s creation date, expiry date, name server names and IP addresses, the domain’s status and the date the record was last updated.